The sixth Street-O race of the 2013-14 series takes place on Tuesday 11 March 2014 around Waterloo. This event will use electronic timing for the start and finish – please bring your SI card if you have one. 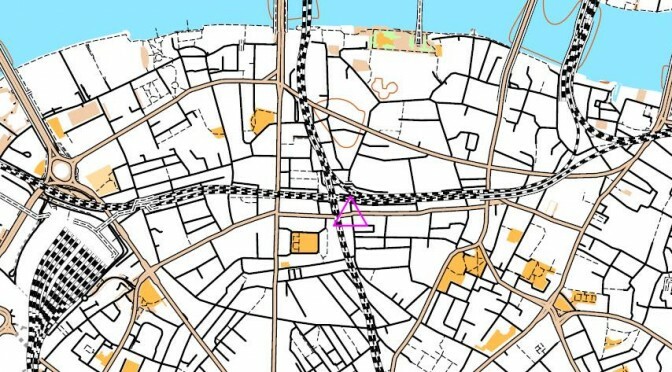 The race will be based at the Union Jack pub, 225 Union St, London SE1 0LR. Good food and drink will be available at the pub afterwards, alongside plenty of post-race analysis! The pub is less than 5 minutes walk from Southwark underground station on the Jubilee line. Waterloo rail and underground station is around a 10 minute walk away. The TFL bus map show the bus routes that stop nearby.